Hammond, Indiana – Previous United States Assistant Attorney Joshua P. Kolar will fill the vacancy made by Magistrate Judge Paul R. Cherry as Northern District of Indiana Magistrate Judge. Kolar has been an Assistant U.S. Attorney in Hammond since 2007 and was among forty-three applicants for the judgeship. The judges on the court selected Kolar from the five finalists that made it through the Magistrate Judge Merit Selection Committee. Kolar received his undergraduate degree from Northwestern University and attended law school at the Northwestern University School of Law. As a magistrate judge, his main duties will include conducting preliminary proceedings in criminal cases and presiding over hearings and trials for civil cases and misdemeanor cases. He may also be requested to handle pretrial motions and attempts to resolve civil matters without trial by the district judges. 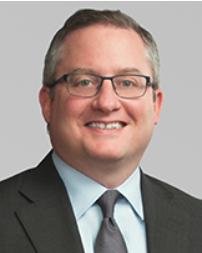 South Bend, Indiana – Damon R. Leichty, a partner of Barnes & Thornburg LLC has been nominated to serve as a judge in the United States District Court for the Northern District of Indiana. The vacancy to be filled was previously held by Judge Robert L. Miller, Jr. Leichty is the fourth Indiana attorney to be nominated by President Trump to fill vacancies in both Indiana’s Northern and Southern District Courts. Leichty graduated from Indiana University Maurer School of Law and went on to serve as a law clerk for Miller for two years. He also served on the Federal Local Rules Advisory Committee for the Northern District of Indiana. During his career as a private practice attorney, he has represented clients in complex civil litigation throughout the United States. Leichty also counsels manufacturers on product liability, contracts warranties, and various product development and marketing strategies. Local Rules for the Northern District of Indiana have been revised and are effective January 1, 2013. The rules which have been amended are L.R. 1-1, L.R. 5-3, L.R. 6-1, L.R. 16-1, L.R. 83-6.7, L.Cr.R. 47-2, L.Cr.R. 47-3 and Local Patent Rules LPR 1-1 through 6-1. A complete copy of the newly adopted Local Rules can be viewed by following the link provided below. John E. Martin will replace Magistrate Judge Andrew P. Rodovich in the Northern District of Indiana’s Hammond Division. Rodovich is retiring from the bench. Mr. Martin is a deputy federal community defender in Hammond, representing indigent clients. Prior to working as a federal defender, Martin worked in private practice and was a deputy prosecutor in Porter County. He has also worked as a part-time public defender in Porter Superior Court. Forty-two people applied for the judgeship. Fort Wayne, IN – The Northern District of Indiana has published proposed changes to the local rules. The proposed changes would affect many rules, however, are not intended to change the substance of the local rules. Rather, the changes are proposed in order to simplify and clarify the language of the rules. The court has released “Guiding Principles” to the revisions, stating the goals of the revisions include: conforming to the style, organization, format and terminology of the Federal Rules of Civil Procedure and to follow generally accepted American-English sentence construction. The numbering system of the local rules will also be changed slightly under new proposal. The public and bar are invited to comment on the proposed local rule changes through a link provided on the Court’s website.